This purple cocktail napkin features a floral design with your names and event date beneath. It is perfect for a dazzling wedding reception. Napkin colors, designs and foil colors can be further customized. The font used for the text on the design above is Coronet Regular. Like this wedding napkin? You can personalize it with your own wording and details at annsbridalbargains. Designed by American type designer Robert Hunter Middleton, Coronet is a calligraphic script typeface available in 335 characters. It can be best used for formal announcements and invitations. 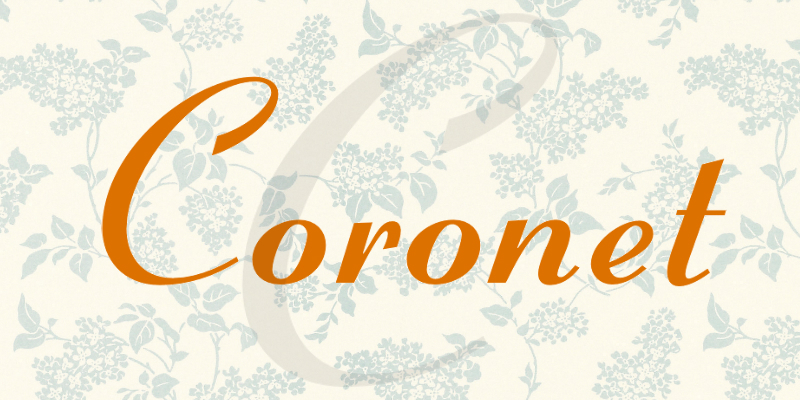 You can buy and download Coronet at Myfonts.